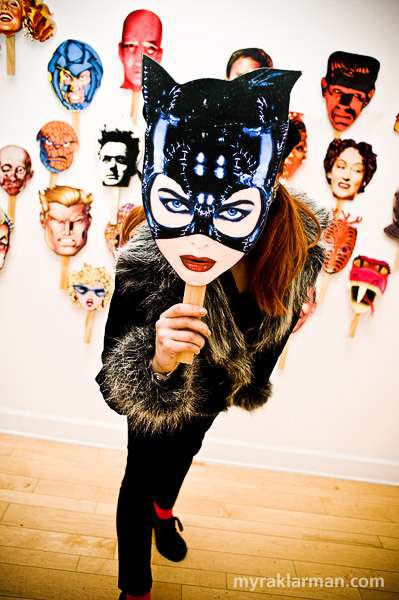 Nina Friday plays with one of the masks in Jack Summers’s installation. I took a break from working on orders yesterday to join Mary Morgan in visiting the Gallery Project space on S. Fourth Ave., where artists are in the process of installing their pieces for a new show that starts tomorrow, December 10. I don’t normally cover (non-performing) art, but this exhibit is just so cool I couldn’t resist. 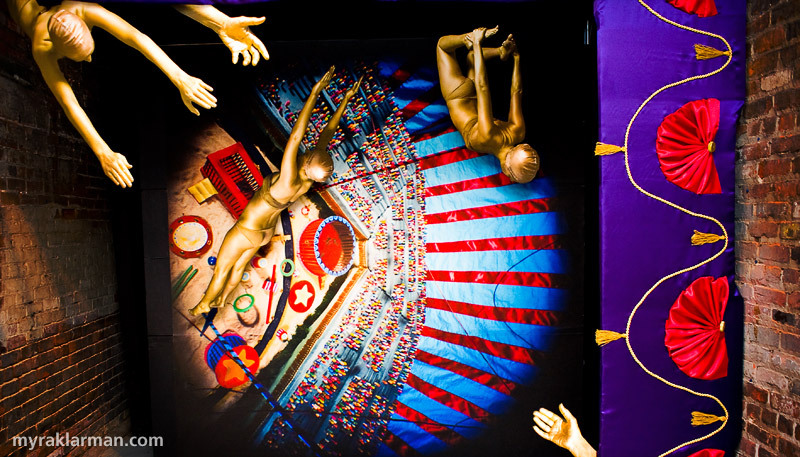 The exhibit is comprised of 18 theatrical, interactive scenes — many with costumes and props — designed as backdrops and inspiration for exhibit-goers’ own photographic portraits. 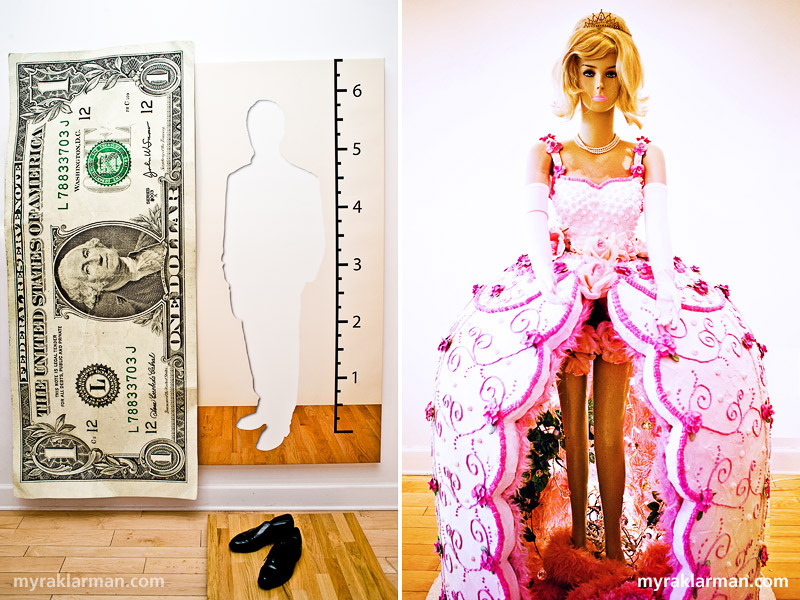 Fulfill your dream of being photographed with a life-size Barbie cake, complete with your own tiara. Or if you’ve always wanted to join the circus, now you can. The 18 different installations are symbolic/conceptual monkey bars for your creative expression. You are limited only by your imagination. Come play! The exhibit is a fundraiser for the Gallery Project — and a brilliant one at that! A PhotoPasses may be purchased for $20, which entitles you to visit the exhibit and snap as many photos thereof as you’d like over the course of the 6-week show (excluding the opening reception). Tickets for the opening reception (this Friday, December 12) are only $10. If you don’t have a camera or a photographer (or a vast retinue of paparazzi) with you, don’t despair — gallery assistants will be slinging genuine, actual film–based, Polaroid instant cameras, and you may purchase portraits for $5 (or 3 for $10). To learn more about the exhibit, including a list of all featured artists, check out the Gallery Project’s press release. 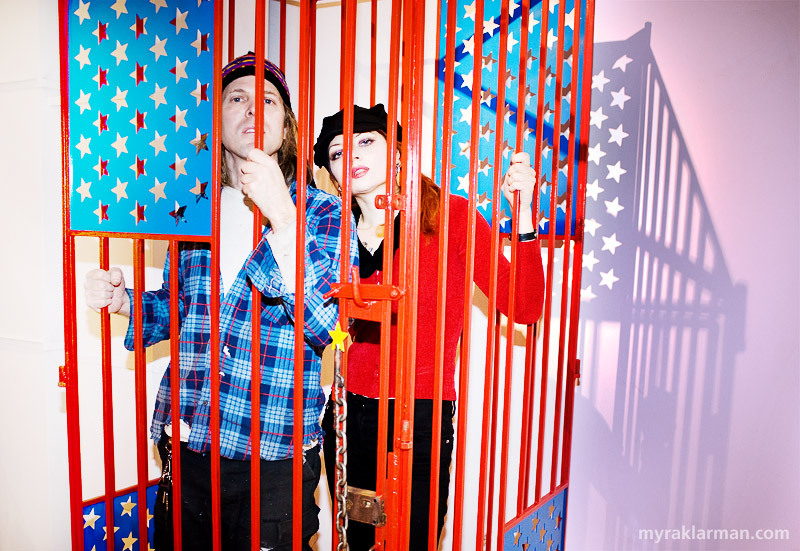 Rick Ruiner and Nina Friday in Ruiner’s installation, Please Wake Me From This American Dream. These are spectacular! You are unstoppable.